Wates Construction has gifted a summer house to The Beacon Children’s Home in Grantham to mark the completion of the first phase of redevelopment of the site. The redevelopment project will provide significantly improved facilities for children with disabilities in Lincolnshire, as well as the home’s care staff. The summer house will provide a much-needed retreat and allow relatives and staff the opportunity to enjoy quiet engagement with the children. It has been donated by Wates with the support and help of its local supply chain. Designed and funded by Lincolnshire County Council, the first phase of the new £3.8m home began on site in July 2016. It includes the construction of a single storey block providing living accommodation for the children and care staff, as well as catering and administration areas. This is a significant improvement on the original 1960s built home, providing spacious bedrooms, superior communal spaces and extensive grassed areas. The project was procured through the empa framework, which is managed by Scape Group, a public-sector organisation, dedicated to creating ongoing efficiency and social value via the built environment. The existing staff and residents have settled in to the new home, as work now begins on demolishing the existing two-storey building to make way for phase two of the project, which will involve the development of both hard and soft external play areas. When complete, the home will also boast improved road access and car parking. 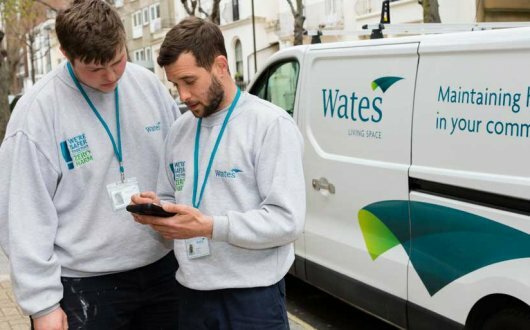 Throughout the first phase of the project, Wates procured the services of a range of local businesses to help deliver the project, and also employed several apprentices from the local construction college in Grantham. As part of its commitment to the “Buy Social” campaign, Wates appointed a Nottingham based social enterprise, Streetwise Environmental, to provide the landscaping for the home, and to purchase and install the summer house on its behalf. Beacon Children’s Home is an excellent example of how contracts procured through the empa framework allow the public and private sectors to collaborate on projects that vastly improve the services and environment available to communities across the East Midlands, ensuring efficiency, high quality and value for money. The improved facilities at Beacon Children’s Home provide significant addition and improvement to the services offered to families of children with disabilities in Lincolnshire. It is fantastic to see Wates Construction and Lincolnshire County Council complete the first phase of the new Grantham Children’s Home. Through the use of our empa framework, the council has delivered maximum value for the taxpayer, as well as significant collaboration with local suppliers and training opportunities for local people.